In response to the extraordinarily diverse adult student population present in college today, a new structural equation model adapted from Cabrera et al. 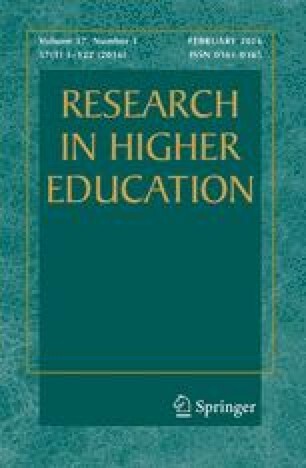 (1993) integrated model of student retention was identified with the addition of three variables: career decision-making self-efficacy (CDMSE), perceived stress and financial difficulty. The study examined the persistence of students (N = 937) 24 years of age or older studying in two-year and four-year degree programs, by combining data from a survey questionnaire and institutional records. Twenty-three variables were included, twelve endogenous variables and eleven exogenous variables, within a nonrecursive structural equation model. The exogenous variables controlled for the background characteristics of the population of adult students examined. Of the twelve endogenous variables of a new integrated model of student persistence, CDMSE, a career development construct related to the perceived vocational futures and career-related tasks of adult students has the widest range of influence among the endogenous variables.